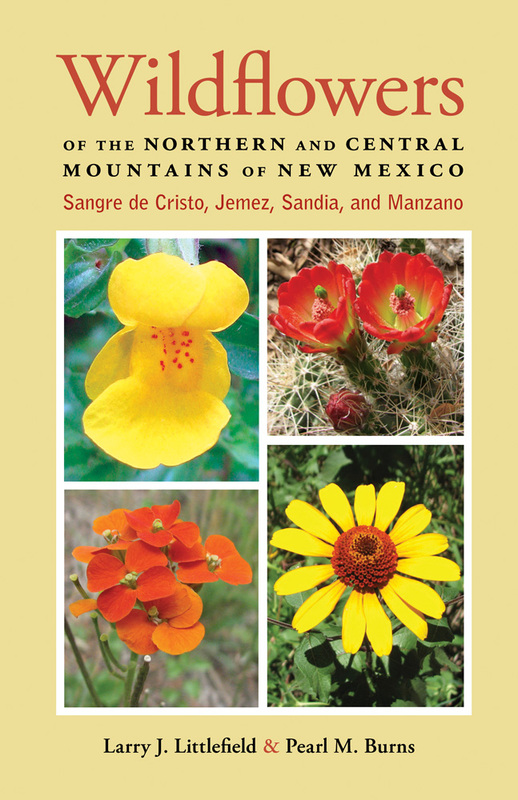 This unique reference work describes over 350 wildflowers and flowering shrubs that grow in New Mexico’s Sangre de Cristo, Jemez, Sandia, and Manzano Mountains, as well as neighboring ranges, including the Manzanita, San Pedro, Ortiz, and other lower-elevation mountains in central portions of the state. With more than a thousand color photographs accompanied by visual descriptions, the easy-to-use guide organizes plants first by flower color, then alphabetically by family common name, then by scientific name. The authors also include information on traditional uses of the plants by indigenous peoples and an extensive glossary and bibliography. A brief geological history and description of the ranges examines the different life zones and ecosystems and how these relate to elevation and microclimates. Wildflower enthusiasts and hikers will welcome this useful book. Larry J. Littlefield is a professor emeritus of plant pathology at Oklahoma State University. He has been a volunteer with the Sandia Mountain Natural History Center and the trails maintenance crew for the U.S. Forest Service since retiring in Albuquerque in 2005. Pearl M. Burns, coauthor of the “Wildflowers” chapter of Field Guide to the Sandia Mountains (UNM Press), is a member of the Friends of the Sandia Mountains and a leader of countless wildflower hikes for the U.S. Forest Service, Albuquerque Open Space program, and other organizations.